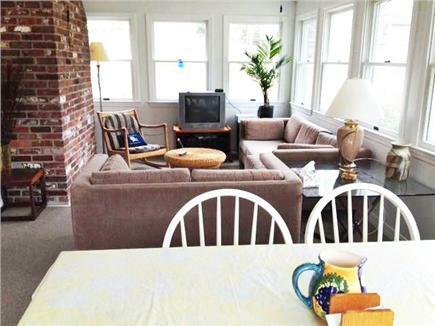 Large sunroom with plenty of light and seating! Charming Cape steps from beautiful 27 acre swimming pond in Harwich. 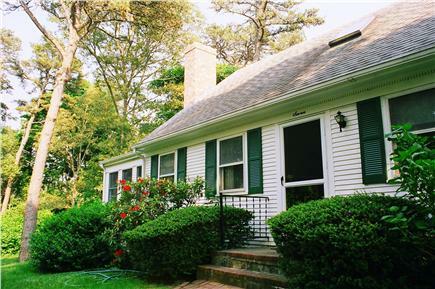 Comfortably accommodates 7 in 3 bedrooms plus cozy den and bright airy sunroom perfect for family gatherings. Lots of books, games and puzzles. Wi-Fi throughout, 2 TVs with DVD player and VCR. Good sized quiet attractive private yard with deck and outdoor shower. Eat-in kitchen, fireplaced living room. Conveniently located 1 mile from super market, movie theater, etc. Very comfortable home with lots of space for family gatherings ......wonderful bright sun room delightful! 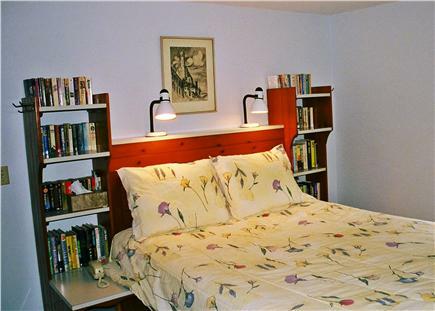 3 comfortable bedrooms. 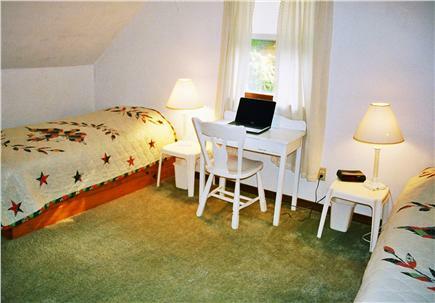 Location quiet and restful but close to everything. The pond is beautiful and within walking distance. Easy drive to saltwater beach as well. Will definitely return! Charming and cozy. Our friends and family have stayed here on several occasions, even used it as home base for a family wedding. This is a comfortable cottage, very traditional, lots of space for lounging around, cooking and enjoying meals together. 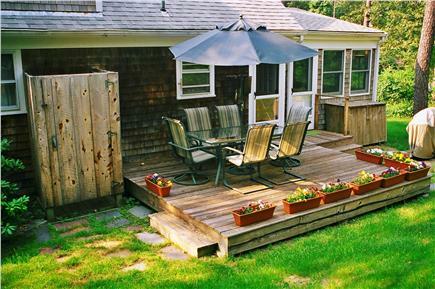 Outside deck is perfect for morning coffee and afternoon wine. Close to a private lake and beach. We highly recommend for your family vacation. This cottage is the perfect Cape retreat. Relaxing, complete with everything you may need including an outdoor shower, spacious yard, outdoor eating, and large sunroom. The location is perfect – just steps away from a private beach. Yet the ocean is just a short drive away. Best of both worlds. 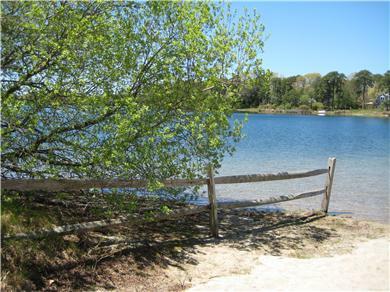 We just came back from a week in Harwich at the beautiful and peaceful hidden jewel, Buck's Pond. 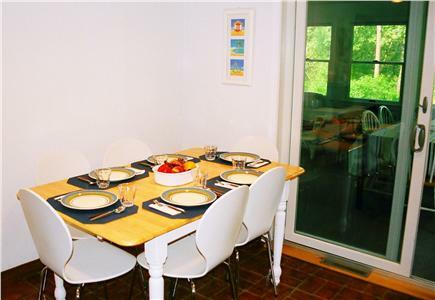 This house is an extremely short walk to a private association freshwater swimming beach. Perfect for those looking for a relaxing getaway, families with small kids or those who enjoy kayaking or paddle boarding. 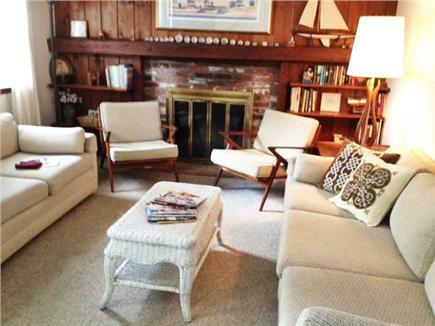 This house is also a short drive away from the public Red River Beach in Harwich. We highly recommend this beach as well - it's a large beach with plenty of parking. There are tidal pools at the far end which are perfect for looking for shells and crabs. There is a food truck that serves some of the tastiest fries, and there are bathrooms as well.